Run Time: 122 min Rated: Rated 14A (Canada) R (MPAA) for brutal violence, language throughout, some sexual references and brief drug use. 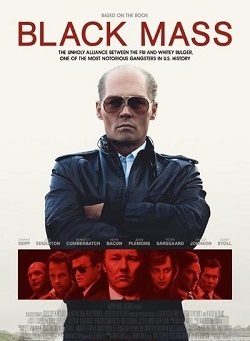 Set in South Boston Black Mass (2015) details the criminal exploits of James Joseph "Whitey" Bulger (Johnny Depp), his gang, the Winter Hill Gang, and their entanglement with the FBI. More than a bio-pic Black Mass deals with broader themes of truth and lies, secrets, and raw ambition. 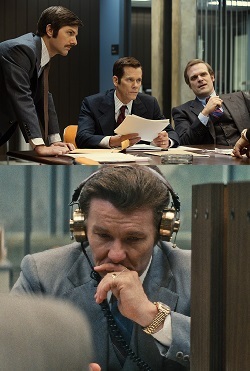 While "Whitey" Bulger is the central character, the film is just as much about FBI Special Agent John Connolly (Joel Edgerton) a childhood acquaintance of Bulger's from Boston’s “Southie” neighbourhood. Wrapped up in Connolly's childhood admiration for "Whitey" Bulger is a misplaced sense of Irish-neighbourhood loyalty which blinds his personal judgment. Near the beginning of the film Connolly comments that children of Southie graduate from playing cops and robbers on the playground to playing cops and robbers as adults in the streets. Black Mass assumes its audience knows something about the conclusion of the story it's telling—that Bulger lived life on the lam for 16 years and was eventually arrested in 2011, tried, and punished for his crimes. Director Scott Cooper provides no traditional first act childhood playground scenes between Bulger and Connolly but rather starts in the middle of the story. If Black Mass was a traditional bio-pic it would have included the backstory and have a third act focusing on Bulger's life as a fugitive, but it doesn't. Cooper is clearly less interested in these parts of Bulger's story opting instead to give audiences a double character study of the two men. Bulger, a small-time crook with a small-time gang, becomes a big-time crime boss in Southie after turning FBI informant, essentially exchanging information about the Italian Mafia for protection. Special Agent Connolly, and by extension the rest of the FBI, cover up Bulger's criminal activity paving the way for the Winter Hill Gang and Bulger to become major players in Boston’s organized crime world of 1970s and ’80s. Connolly, also ambitious and hungry for advancement, is willing to bend and break FBI and federal rules, regulations, and laws to bring the Italian Mafia to justice. Much of the movie is Connolly ‘playing’ Bulger and vice-versa in a high-stakes game of cops and robbers where they are both pushing their luck and hiding the truth from each other, their families and the world. Christian viewers will appreciate the fact that secrets cannot be hidden forever, "for nothing is hidden that will not be made manifest, nor is anything secret that will not be known and come to light." Bulger's ascent to crime-boss status is criss-crossed with Connolly's descent into corruption. FBI Special Agent Connolly would have been better served in life had he taken the advice of St. Paul in Ephesians, where Paul says, "Take no part in the unfruitful works of darkness, but instead expose them." He and Bulger operate with the notion that their activities can be hidden, or at least hidden after the fact, and that the ends justify the means. In a pivotal scene highlighting this idea Bulger has a dinner-table conversation with his six-year-old son Douglas (Luke Ryan). He and the boy's mother, Lindsey Cyr (Dakota Johnson) talk with him about an incident at school. Douglas had found himself in trouble after he'd hit another boy. The boy he'd hit provoked it and Bulger asks his son if he knew why he'd ended up in trouble. Douglas answers, "because I hit him," to which Bulger responds by explaining to his son that he'd actually gotten into trouble because there were witnesses, capping it off by saying, "If nobody sees it, it didn't happen." Christian viewers then will want to consider this question: Is it possible to do something and have no witnesses? Cain killed his brother Abel and God asked Cain, “What have you done? The voice of your brother's blood is crying to Me from the ground." God is all-seeing and omniscient. In fact, He knows the hearts of all the children of humankind. Even if there are no obvious witnesses Christians know God is witness to all the thoughts, words and deeds of all people. Yet crime can appear to go unpunished. The Book of Hebrews says, "no creature is hidden from [God's] sight, but all are naked and exposed to the eyes of Him to whom we must give account." The Winter Hill Gang had a favourite place where they buried the bodies of their murder victims, and one of the gang members who was turning state’s evidence against Bulger expressed surprise that the FBI didn't know about the gang’s 'cemetery' when it was such a poorly-kept secret in Southie. Bulger took secrecy very seriously, it was a matter of life and death as he went about his criminal activities. In another dinner-table scene, this one at Connolly's family home, this seriousness is played out as Bulger jokingly presses an FBI agent, John Moris (David Harbour) about a 'secret' family steak sauce recipe. From playful banter Bulger turns grim saying to the increasingly uncomfortable Moris, "You said to me this is a family secret, and you gave it up to me, boom just like that. You spill the secret family recipe today, maybe you spill a little something about me tomorrow?" The dramatic tension in this scene, and in the entire film, leaves viewers wondering when and how Connolly and Bulger will trip up; when and how they will be found out; when and how their secrets will be revealed. 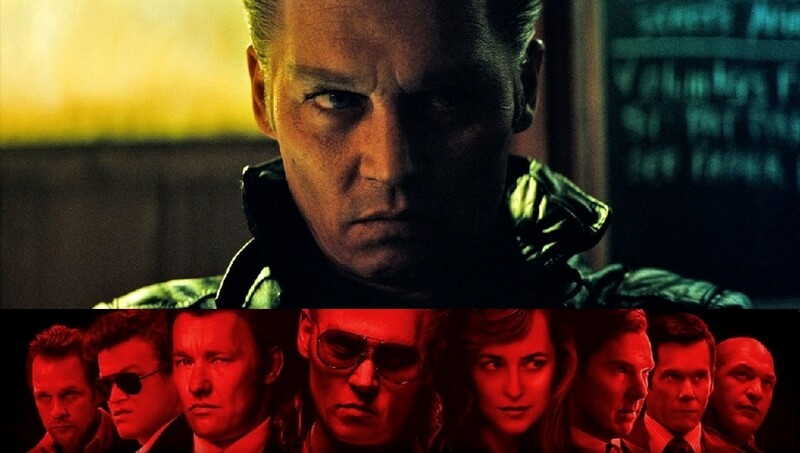 For fans of acting, the cast of Black Mass gives some solid performances, particularly Johnny Depp who is well-known for his chameleon-like ability to transform himself for the camera. Depp turns in a complex, nuanced, and surprisingly restrained performance as "Whitey" Bulger and somehow his restraint supplies the film with moments of truly unnerving menace. With its MPAA R rating this movie is not going to be for all viewers; this is no Pirates of the Caribbean (2003) or Alice in Wonderland (2010). 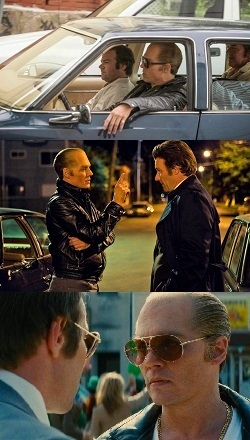 Black Mass is liberally peppered with harsh language and brutal violence. There is nothing particularly uplifting about the film, neither is there anything glamorous about it. Considering the subject matter, Black Mass is appropriately cold and dark which at its core confronts the nature and the consequences of sin.